You'll be £3.99 closer to your next £10.00 credit when you purchase Red Sniper on the Eastern Front. What's this? 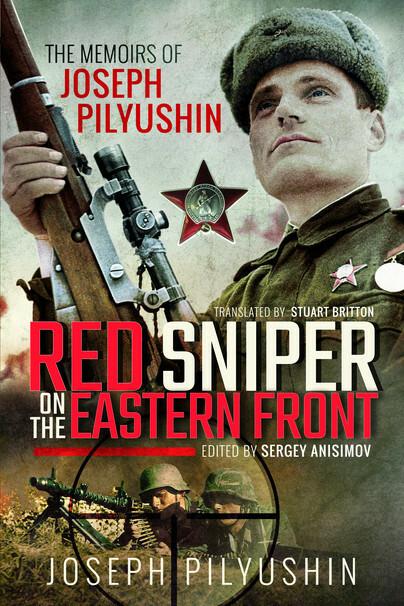 Joseph Pilyushin, a top Red Army sniper in the ruthless fight against the Germans on the Eastern Front, was an exceptional soldier and he has a remarkable story to tell. His first-hand account of his wartime service gives a graphic insight into his lethal skill with a rifle and into the desperate fight put up by Soviet forces to defend Leningrad. Pilyushin, who lived in Leningrad with his family, was already 35 years old when the war broke out and he was drafted. He started in the Red Army as a scout, but once he had demonstrated his marksmanship and steady nerve, he became a sniper. He served throughout the Leningrad siege, from the late 1941 when the Wehrmacht’s advance was halted just short of the city to its liberation during the Soviet offensive of 1944. His descriptions of gruelling front-line life, of his fellow soldiers and of his sniping missions are balanced by his vivid recollections of the protracted suffering of Leningrad’s imprisoned population and of the grief that was visited upon him and his family.